NOVA8 Ventures is an accredited private angel investor that is actively seeking great startups and early-stage companies to fund during Seed and Series A rounds. We primarily invest in high growth companies in the following sectors: information technology, fiber/wireless telecommunications, AI, big data, agri-tech, and SaaS. Startups: We make initial investments of $25,000 – $150,000 and then follow-on investments up to $1 Million in the best-performing ventures. Series A: We typically make investments of $250,000 – $500,000 and then consider investments in future rounds based on the company’s past performance, the ongoing growth outlook and our asset allocation and diversification at that time. NOVA8 Ventures also makes sidecar or co-investments in amounts ranging from $50,000 to $250,000 per venture with other trusted angel investors/funds, regional venture capital funds, and family offices in larger syndicate investments. Help revise and edit entrepreneur's business plan to increase probability of success. Assist in creating a short and long-term roadmap for the business including targets and milestones to measure progress. Connect as necessary to people, groups, and additional resources. Regularly scheduled meetings with key management to discuss progress and ongoing strategy. Provide entrepreneurs opportunities to bounce ideas around informally and even vent on occasion to reduce stress and refocus. Provide add-on capital and work closely through any mergers, acquisitions, fundraising, recapitalization, or exit opportunities. People with business ideas are everywhere, but an entrepreneur’s ability to successfully execute a plan is everything. Consequently, NOVA8 Ventures not only looks for opportunities that show promise to scale quickly but those that are run by intelligent, super driven and multi-talented entrepreneurs who excel at leading people, executing, and effectively interacting with a wide variety of people and personalities. Although not a requirement, an entrepreneur’s proven history being able to close deals is a huge plus especially during the early stages of a company. Sherpa Fiber builds Networks for the Next Generation. We offer leased lit and leased dark fiber wide area networks (WANs) to K-12 school districts across the country, and all of our networks are E-Rate Category 1 eligible. Unlike traditional fiber network providers, we deliver multiple strands of dedicated fiber to districts for maximum performance, uptime and control by your district’s IT team. We put you in complete control of your WAN and the traffic that rides across it, and our WAN solutions are designed from the ground up and future-proofed for K-12 districts. Best of all, Sherpa Fiber WANs are designed to scale incredibly cost-effectively as bandwidth demands increase. Contact us today to learn more about our private fiber networks and how your new wide area network will be the envy of peer districts. WANRack provides high-bandwidth Private Fiber Wide Area Networks (WANs) for K-12 schools. As part of the recapitalization process in 2018, to avoid conflict with Sherpa Fiber going forward, Darren elected to step down from the board and shift to a passive investor role. Stackify provides an affordable application performance monitoring solution designed to make developers' lives easier and enable them to be more productive. This is accomplished through two products: Prefix and Retrace. Prefix is designed for workstations and is a lightweight web request profiler used during development providing details of individual web requests. Retrace is a developer friendly APM for servers that is used in QA and production environments and provides centralized logging & error tracking, comprehensive application monitoring, and application & server metrics. Together Prefix and Retrace provide one toolset for complete application insights and delivers everything your team needs to know about your applications, their performance, and diagnostics in one place. 1102 Grand is the most network-rich, core interconnection environment in the Central Midwest due to its geographic presence in the center of the telecommunication rights of way in the United States. The data center provides infrastructure for carriers, enterprises, and service providers to interconnect reliably and cost effectively. 1102 Grand is now part of Netrality Properties. Navifreight serves as an intermediary between government and commercial shippers and trucking companies. Our role is helping to match up goods that need transported with carriers who possess the capacity to move that freight at a fair price for all parties involved. We specialize in HAZMAT loads, over-sized equipment, and nearly all other full truckload (TL) freight. Darren is the CEO and Founder of NOVA8 Ventures and has over 25 years of experience in information technology, telecommunications, and data centers. He previously was co-owner and CEO of 1102 GRAND (now Netrality Properties) where he guided the company from early stage to a successful exit. In his time as an entrepreneur and investor, the companies Darren has worked with have grown to a combined exit value of nearly $75 Million. 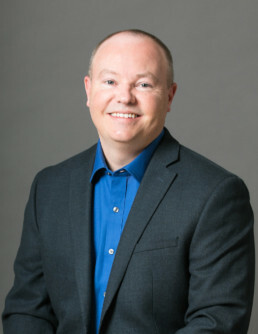 Darren has served in technology advisory roles for multiple governmental agencies and was co-founder of KCnext (now The Technology Council of Kansas City) where he served on the Board of Directors. He has sat on various speaking panels with other regional thought leaders including Mayor Sly James (Kansas City, MO) and former Kansas City, Kansas Mayor Joe Reardon, and Darren was invited by former Missouri Governor Jay Nixon’s office to provide feedback on Gov. Nixon’s proposed State Economic Development Plan. He has also been interviewed on television, radio, podcasts, and quoted or featured in a wide range of print publications including The New York Times, The Chicago Tribune, The Los Angeles Times, and The Kansas City Business Journal. Greg is responsible for identifying and vetting potential investments and acquisitions of NOVA8. In addition, he assists connecting NOVA8 portfolio companies to the global network of people and companies the team members have built over the years. Furthermore, Greg assists NOVA8 portfolio companies with business development as needed. Previously, he was Director of Business Development with LightEdge Solutions and 1102 Grand, a Netrality Property. Greg is immersed in the regional and national Telecom, IT and Software Communities attending conferences, tradeshows and networking events. In addition, Greg is extremely active with the KC Tech Council, KC Digital Drive and is on the technology curriculum design team with a regional tech education program. Greg is an entrepreneur at heart and has been instrumental in starting, owning and operating profitable businesses. In addition to information technology and telecommunications verticals, he also has experience in software sales, manufacturing technology, healthcare and telemedicine SaaS platforms and VR/AR for marketing and education. Emily is responsible for overseeing the day-to-day operations of NOVA8 Ventures. 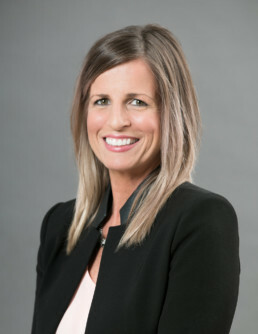 With more than 20 years of experience in the engineering and construction industries, she possesses a broad range of managerial and leadership experience with departments such as accounting, project management, and compliance. Her diverse range of talents and insight into different business units allows Emily to not only consider business decisions individually but from a more broad business system perspective. Emily prides herself on being a good listener first and a creative problem solver second because she likes to hear input from team members and analyze all of the data to ensure carefully thought out decisions are being made. This is especially true when working with entrepreneurs to understand their business challenges and recommending overall strategic direction or helping to develop processes and procedures necessary for a business to operate efficiently and scale quickly. In addition, team members and entrepreneurs alike regularly comment on her impressive attention to detail and overall pragmatic nature. To be considered for funding, please send a concise four to six page executive summary or investor deck to Invest@NOVA8.com. While executive summaries or decks are fine for the initial review, a complete business plan is required if we express interest in evaluating the opportunity further. Submission of any materials including a business plan does not create any obligation on the part of either party unless and until definitive agreements are negotiated and signed by both parties. You should only include non-confidential information in your submission, and by submitting information you are deemed to consent to non-confidential treatment of such information. In appropriate circumstances, we will sign a reasonable non-disclosure agreement when we reach a point of mutual interest in moving forward. Every business plan will be reviewed, but due to the volume of plans and materials, we may take up to two weeks to get back to you. © 2017-2019 NOVA8 Ventures, LLC. All Rights Reserved.